For this weeks Book Nook I decided to start of with a book I knew I would like. I haven’t read a book for fun for such a long time and I felt a bit lost. So lost that I procrastinated for 2 days before even getting the book of the shelf, but then I fell back into my old habit and read all day and all night and I finished the book in 2 days. This book is defiantly a keeper! Paul McEuen is an amazing writer, although the love story was a bit predictable. Still, he knows how to pull of filling a book with biologic, historic, and tech information while still making it readable. The characters are also wonderful, the way they act goes great with the back story. -I don’t want to give to much away here, but – for example Jake used to be in the army, so the way he reacts to a gun and handles one as well is very realistic. Another thing I liked about this book -and that’s because I am a tad bit of a nerd – I loved how I could recognize some of the Chinese characters, I loved that I knew parts of the Japanese history he told, I loved that he shows the beauty of mold. I am a person that likes to see the beauty in things that other people find extremely gross or ugly. But this isn’t about me, it’s about the story. If you are into history, or biology, or electronics, or thrillers, or you just like reading. This is a book made for you! Find it in your local library or buy it, doesn’t matter, it’s amazing! Writing book reviews is probably not really my thing, I hope to write a better one next week when I’ll write about John Grisham – The Litigators. 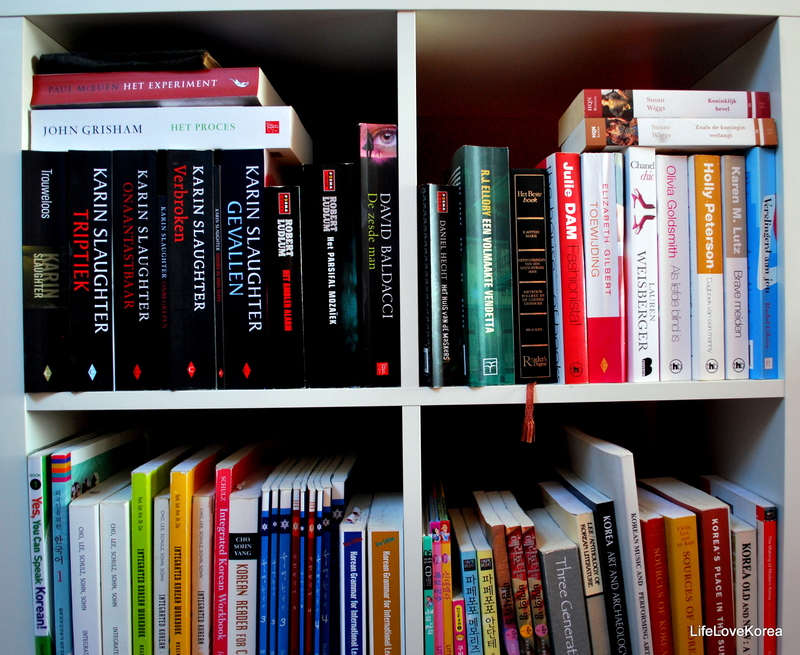 Books, I love book, I love my books. However these days I barely ever touch them because I have “no time”. I have plenty of time actually, I just don’t spend that time on reading which is a pity. I used to spend every single second of my spare time with my nose in one book or another, I spend a ages in libraries and bookstores and I still do actually, I just stopped reading. So that’s why I made this post. I want to start reading again, and start reading my own books, throw out the ones I don’t enjoy and keep the ones I love. Feel free to join me if you enjoy reading as much as I do. This week I will start reading Paul McEuens Spiral. A book I greatly enjoyed – let’s see if it is still as captivating as when I read it the first time! Next Wednesday I will let you know if it is a keeper or a book better to be tossed and why! For my future reading list check the book nook master list.